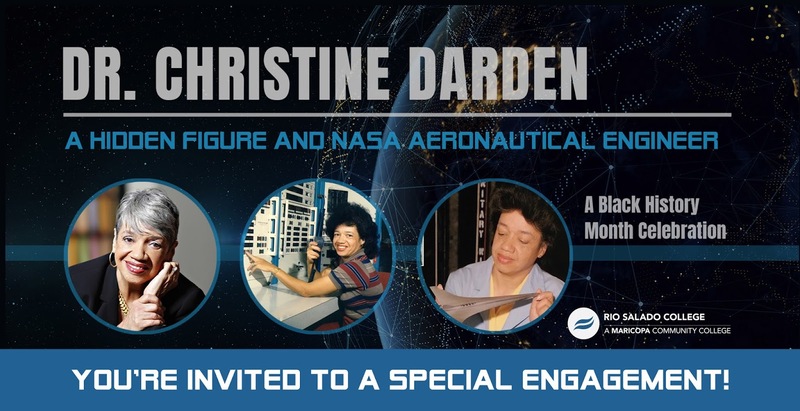 Join us for a tribute to the acclaimed NASA engineer Dr. Christine Mann Darden– and an engaging conversation about science, Black history and how the power of innovation and determination can change the world. **Limited seating, available on a first-come, first served basis. Reservations required. Please register by Feb. 7, 2019. Only 250 total seats so you'll need to act fast! 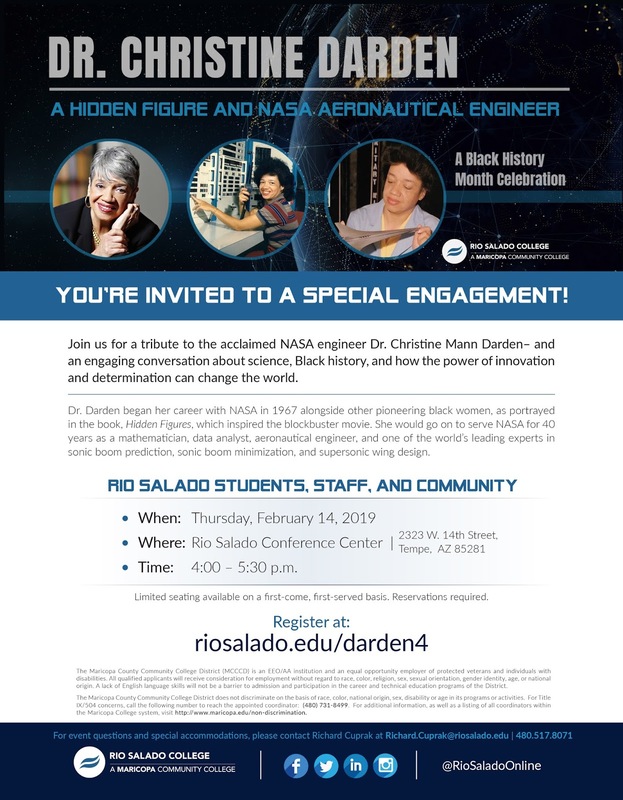 Dr. Darden began her career with NASA in 1967 alongside other pioneering black women, as portrayed in the book, Hidden Figures, which inspired the blockbuster movie. She would go on to serve NASA for 40 years as a mathematician, data analyst, aeronautical engineer, and one of the world’s leading experts in sonic boom prediction, sonic boom minimization, and supersonic wing design. 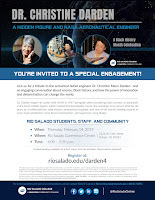 For event questions and special accommodations, please contact Richard Cuprak at richard.cuprak@riosalado.edu or 480.517.8071.